“NEF 24: PROMISED LAND” takes place the night before Father’s Day 2016 at the Androscoggin Bank Colisee in Lewiston, Maine. In anticipation of NEF 24, all week we will be profiling “Fighting Fathers,” or, “dads that could beat up your dad.” Find out what drives these working dads as they battle to build a better life for their children. 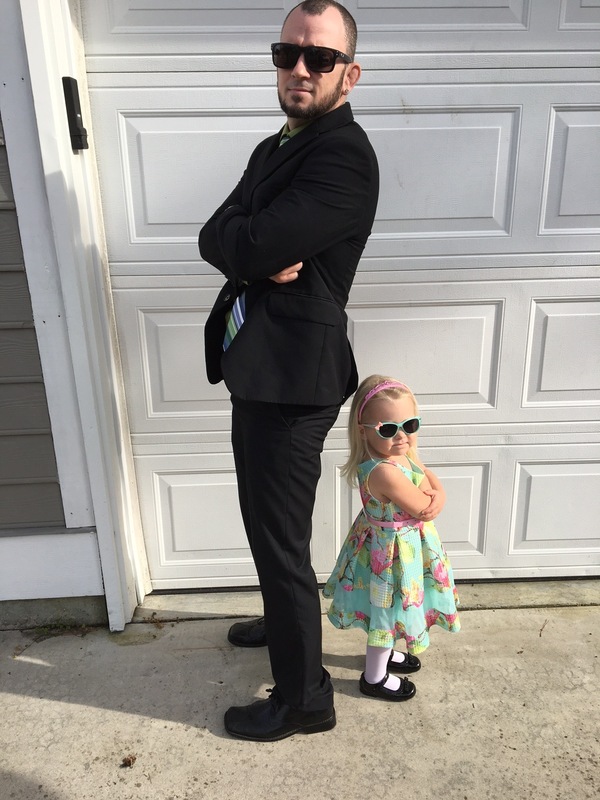 In this installment, we’re speaking with working father and businessman, Brandon Bushaw. We have one daughter named Aria and she is turning three on June 23rd! Being a great father is my number one priority in life. It comes before all else. I was/am very fortunate to have a great rolemodel of that in my dad. I will support her in whatever she chooses to do. Combat sports, particularly wrestling, shaped my entire life. She will first be exposed to BJJ, as I feel it is a great self-defense art that all women should at least know the basics of. She is excited to start later this summer! I want her to understand the discipline and respect that go along with combat sports—for yourself, your team, your opponent and the sport itself. Above all else, I want her to have fun with anything she chooses to do in life. As far as legacy as a father and as an athlete, the two do not even compare to me. 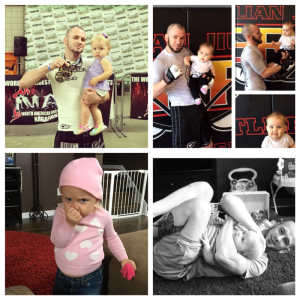 I would far rather hear people say ‘man, he wasn’t very good in the cage, but he was one hell of a dad,’ than ever hear someone say that I was a beast on fight night, but a sad excuse of a father figure! Traveling 1,000 miles away to fight on Father’s Day weekend is a little bittersweet. I will have my dad with me by my side as I enter battle for the 17th time. My Dad has never missed a fight and that means the world to me. On the flip side, I will be away from my daughter and that is tough, but she knows daddy is coming to take care of business and bringing that W back home with him!